The Constitutional National FEE Committee Meeting was held in Ministry for Education, Science and Development of Serbia, on September 6, 2013. Prof. Dr. Ivica Radovic, Assistant Minister, opened the meeting, followed by presentations from FEE Serbia Team: Prof. Dr. Andjelka Mihajlov (national mentor for FEE programmes), Dragana Grujicic (assistant Eco-Schools national operator and acting YRE national operator), Prof. Dr. Natasa Zugic-Drakulic (assistant Blue Flag national operator) and Petar Marinkoic (assistant Green Key national operator). Strategic decisions were approved, like starting Green Key and YRE programmes, approval of the first 3 Green Flags for Eco-Schools, as well as the rules for Committee functioning. The first Eco-School Ceremony was in the school “Drinka Pavlovic”, Belgrade on September 19, 2013- Minutes from ceremony in gallery of pictures and video. 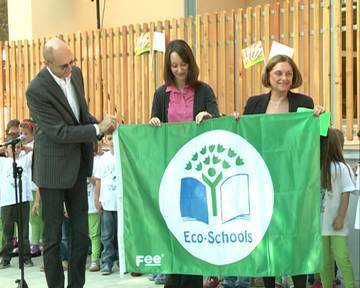 The second Eco-School Ceremony was in kindergarten “1001 radost”, Belgrade, on September 25, 2013. 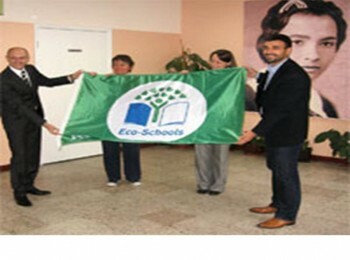 At the both ceremonies City of Belgrade Secretary for Environment Mr Goran Trivan officially gave green flags to school officials.